zen day (sun-day) . . .
One reads about the middle way, neither too yin nor too yang. Not one extreme or the other, but follow the golden mean. Take not gain nor loss to heart. Stay calm and do our best. Every day. Fret not about what we can’t affect. Influence modestly when we can. Doesn’t that sound calming? It takes the struggle from contention. It neutralizes fear because if we do our best, fear becomes a waste of energy. 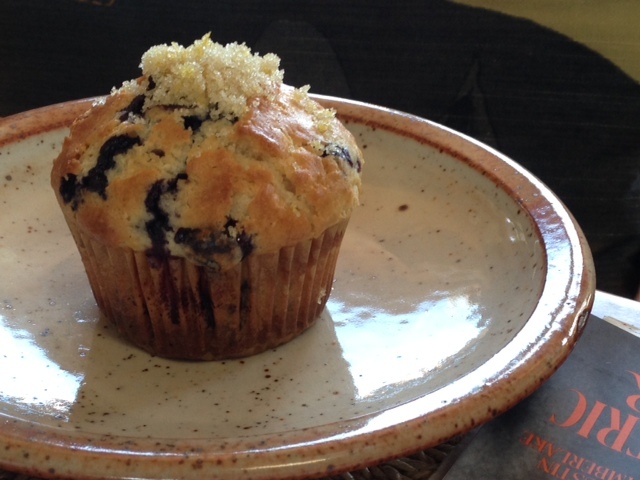 This weekend, my daughter, C. visited and we made blueberry muffins because it was Sunday morning. A new recipe I found online with small bits of unsalted butter mixed in with the flour, sugar, baking powder and salt. Then eggs and milk. Blueberries and orange zest. Baked and sprinkled with lemon zest and sugar on top: the crowning glory of flavor. They were delicious, especially with cups of hot coffee while we read articles aloud to each other from the New York Times. Not too big like supermarket muffins sometimes are. C. remembered when we used to make blueberry muffins from Duncan Hines box mixes on Sundays when the kids were growing up. I forgot about that somehow. We talked about friends, some in need, and what we might be able to do to help. Played some Scriabin and Beethoven on my incandescent Steinway grand piano (“Victor”). The tone so clear as a bell and resonant too. Then we ordered a small mushroom pizza, getting gas for her car on the way to pick up our lunch. More munching and talking about teaching, kids cyber-bullying and wondering what comes over girls during adolescence? C. folded up the sheets, blankets and quilt in a neat pile which will be put away until her next visit. . . soon we hope. Delightful! 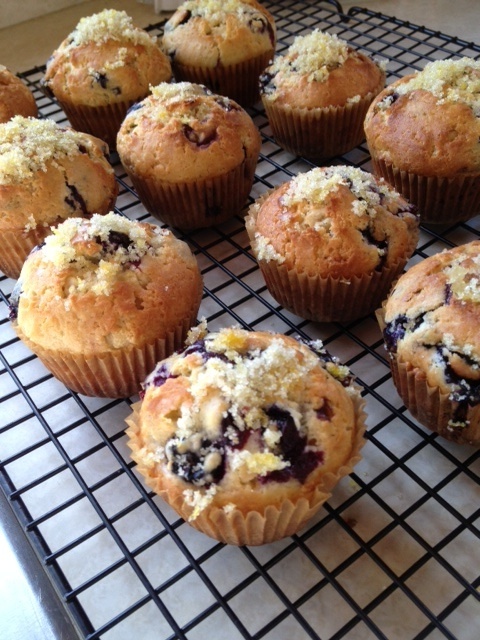 I also made blueberry muffins from Duncan Hines for my family years ago. We don’t have breakfast together, but I think I might make some for them to take home after our Sunday evening meal together! Thank you for a beautiful post! 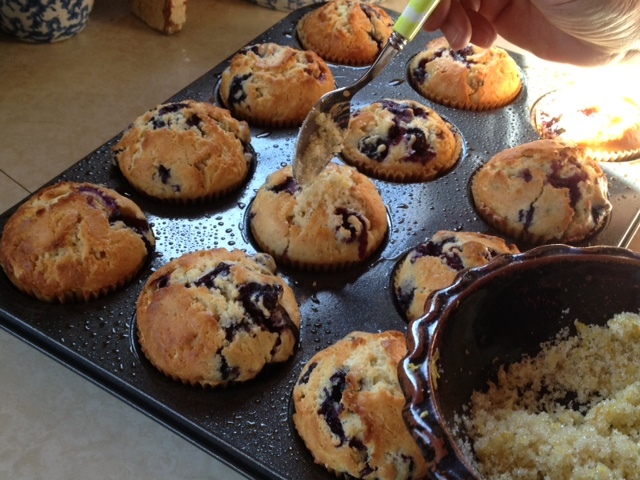 Hi Beth, such a nice coincidence with the Duncan Hines blueberry muffins–remember the little can of blueberries that you had to drain before adding it to the batter? If you want to try the recipe above, I can say that the muffins are tender when they are first out of the oven–and the lemon zest with sugar sprinkle is tasty. Also the orange zest inside the muffins. However, I noticed that they don’t keep their tenderness a day later–which is disappointing. I think I might try another recipe the next time, keeping the fruit zest add-ons. BTW, I also found double white amaryllis bulbs–and ordered some with a slight pink wash called “Nymph”. They are almost sold out everywhere! Yes, I remember the can that stained the sink when you drained it! I make them every now and then and they are still the same, but not like the home made ones! Keep me posted on the amaryllis. I’m getting ready to cut mine back!